MSPs have said plans to increase tagging for offenders need to be backed up with the necessary cash. Plans to increase electronic tagging for offenders need to be backed up with the necessary cash, MSPs have said. The Scottish Government has brought forward legislation which would allow for GPS technology and other methods to be used to keep track of criminals in the community, in an expansion of the current system. MSPs on Holyrood's Justice Committee have backed the general principles of the Management of Offenders (Scotland) Bill. But in a new report on the proposals, they warned: "There is a danger that the good intentions of the Scottish Government in relation to increased electronic monitoring will not succeed if those wearing the devices are not fully supported and adequately monitored, including rapid and effective responses to breaches." 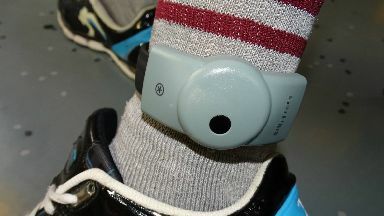 The committee told ministers it would "strongly suggest that the success of the plans for electronic monitoring will only be realised if they come with adequate budgets for what have been described as wrap-around support services for those people who use electronic monitors when they may otherwise have been incarcerated". This should include providing offenders with help with housing, employment and medical care, the report added. And MSPs warned: "A failure to make available sufficient resources will hinder the effective use of electronic monitoring, failing the individuals involved and potentially increasing risks to the wider society." The committee has been considering the issue in the wake of the murder of father-of-three Craig McClelland, from Paisley, who was stabbed to death in July 2017 by an attacker who was "unlawfully at large" while on a home detention curfew (HDC). MSPs said they were "broadly supportive" of Government plans to increase the use of electronic monitoring, but stressed this "should only be used after a comprehensive assessment of risk, particularly for those individuals who would otherwise be incarcerated". They also said it is "equally important" breaches of monitoring regimes, which are not just technical errors or minor transgressions, be "responded to swiftly and effectively". This is "especially important in terms of responding to breaches involving cases of sexual offences or domestic abuse offences", the report added. Committee convener Margaret Mitchell said "various measures in the Bill must be properly resourced, including monitoring and enforcement provisions". She added: "Whilst the committee agrees in principle to greater use of electronic monitoring, it looks forward to working with the Scottish Government to strengthen the Bill. "This will involve ensuring improvements are made before any changes come into force, particularly around dealing swiftly and effectively with tagging breaches, and minimising risk."